Outline ICT for Health research activities Relevant Grid-related activities Where are we going in the short/medium term? Where do we go beyond FP7? 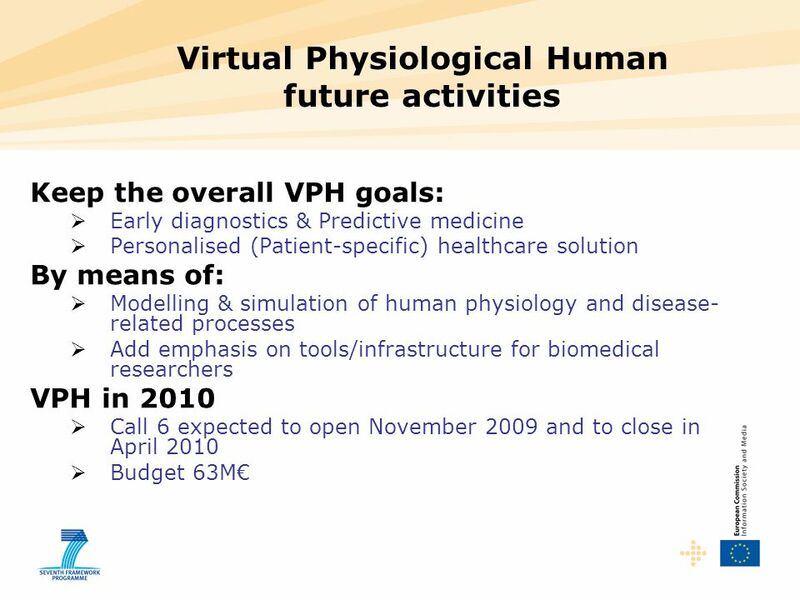 Overall € 340 M over 4 years ( ) Personalisation of Healthcare Personal Health Systems (PHS) € 72 M in € 63 M in 2009 Patient safety (PS) - avoiding medical errors € 30 M in € 30 M in 2009 Predictive Medicine – Virtual Physiological Human (VPH) Modelling/simulation of human physiology and disease € 72 M in € 5 M in € 63 M in 2010 Next work programme will cover and will be published on CORDIS in Oct-Nov 2010. 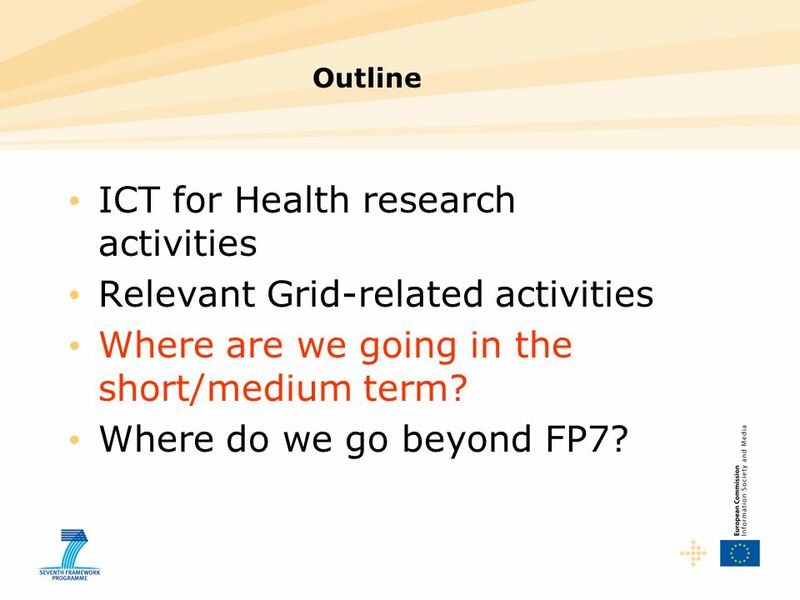 6 Where are Grid activities most relevant? 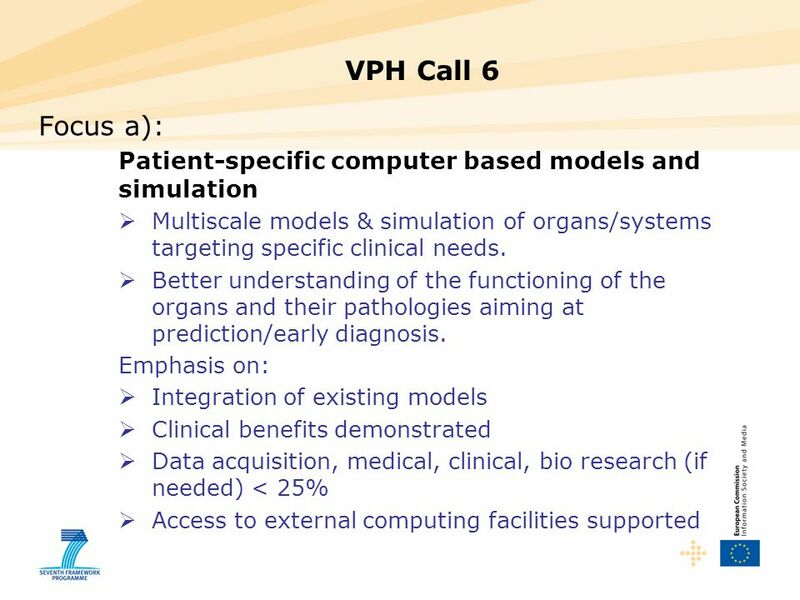 9 First VPH Call: FP7 call 2 Technical focus: Patient-specific computational modelling and simulation of organs targeting specific clinical needs. Data integration and new knowledge extraction. Clinical focus: Simulation environments for surgery training, planning and intervention. Prediction of disease or early diagnosis. 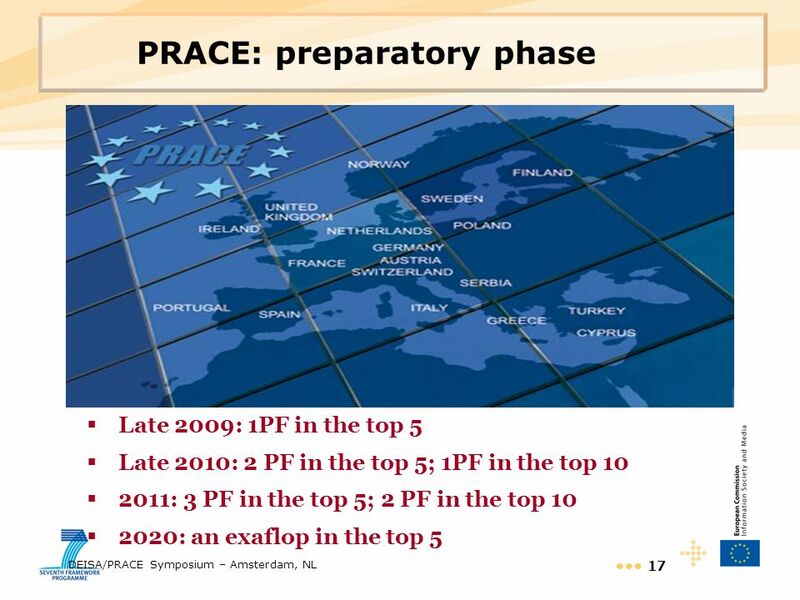 Simulation and assessment of the efficacy and safety of specific drugs. 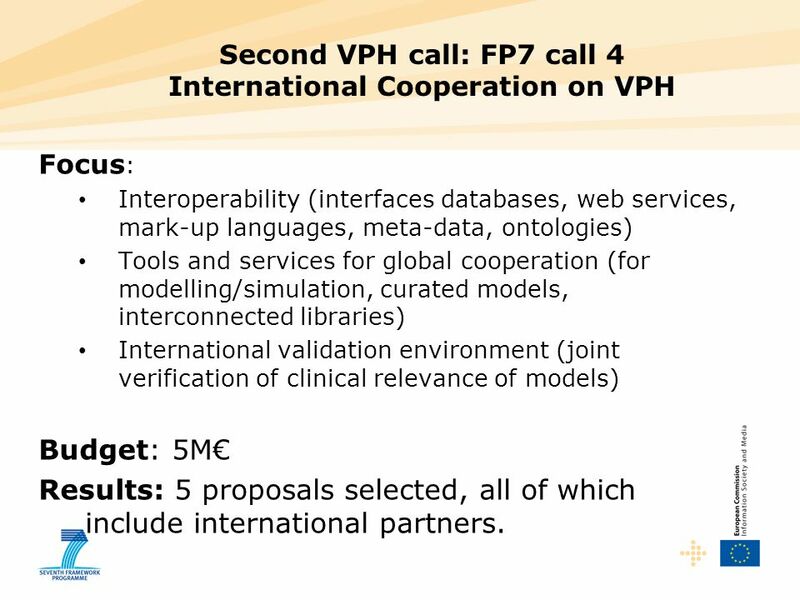 Focus: Interoperability (interfaces databases, web services, mark-up languages, meta-data, ontologies) Tools and services for global cooperation (for modelling/simulation, curated models, interconnected libraries) International validation environment (joint verification of clinical relevance of models) Budget: 5M€ Results: 5 proposals selected, all of which include international partners. 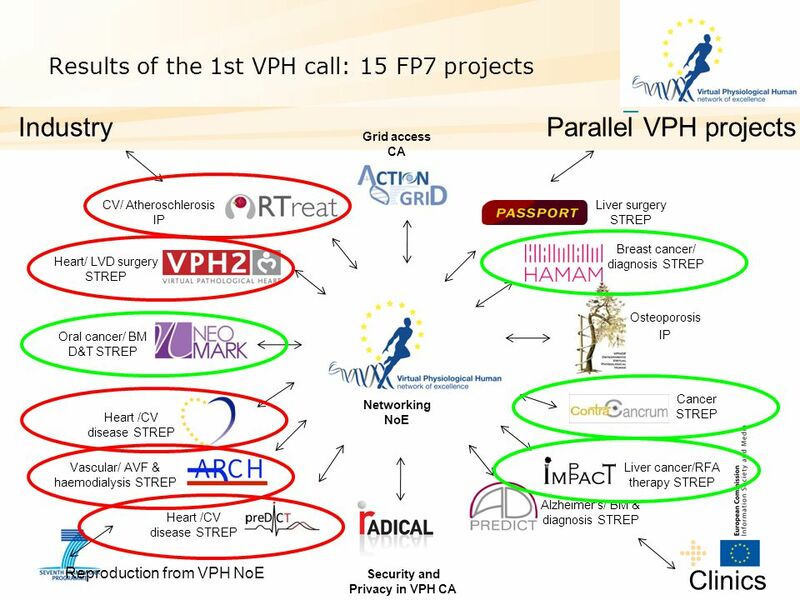 Focused on increasing international cooperation between existing VPH-related projects and similar international projects or initiatives. Retained proposals are currently under negotiation and will hopefully start early 2010. 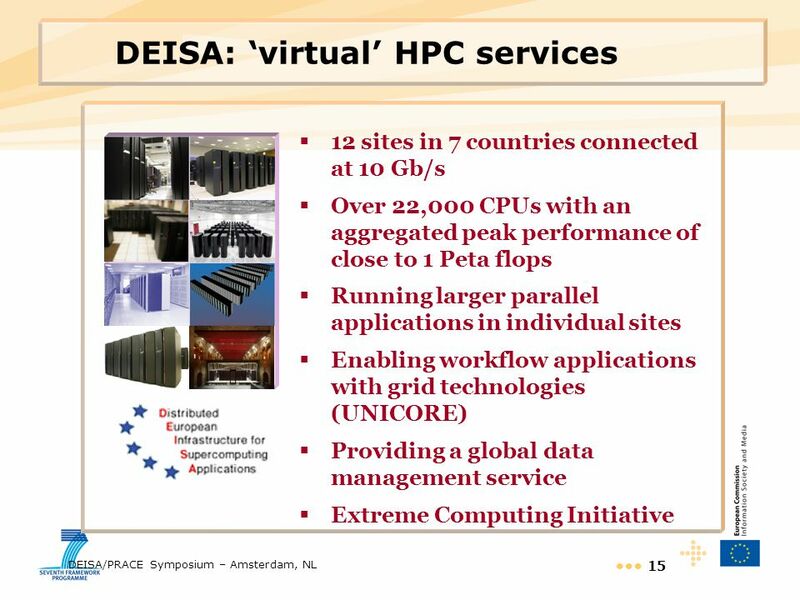 Demand for: Data management Computing power Requirements (coupling research activities with applications) No longer sufficient to make technological advances within the GRID research Engage users Usability/user accessibility Routinely used in applied research in other domains (VPH and others) Develop culture of sharing No infrastructure developments can be done in isolation from the application side. 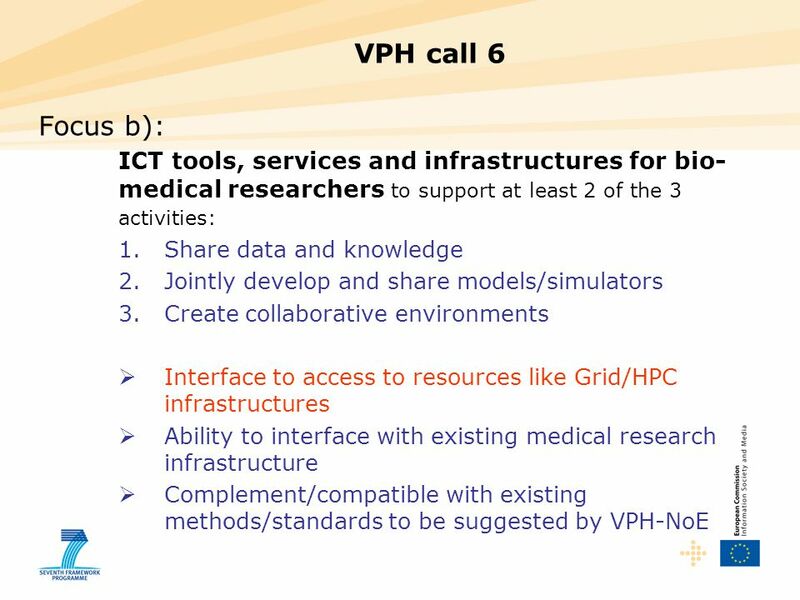 This means that a coupling of infrastructure with research activities is essential. 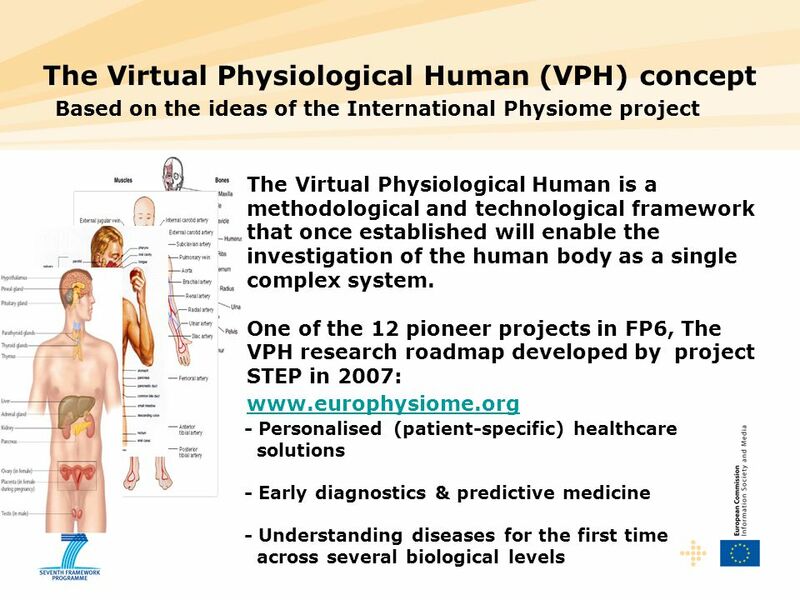 Users to us are BMI and/or VPH researchers! 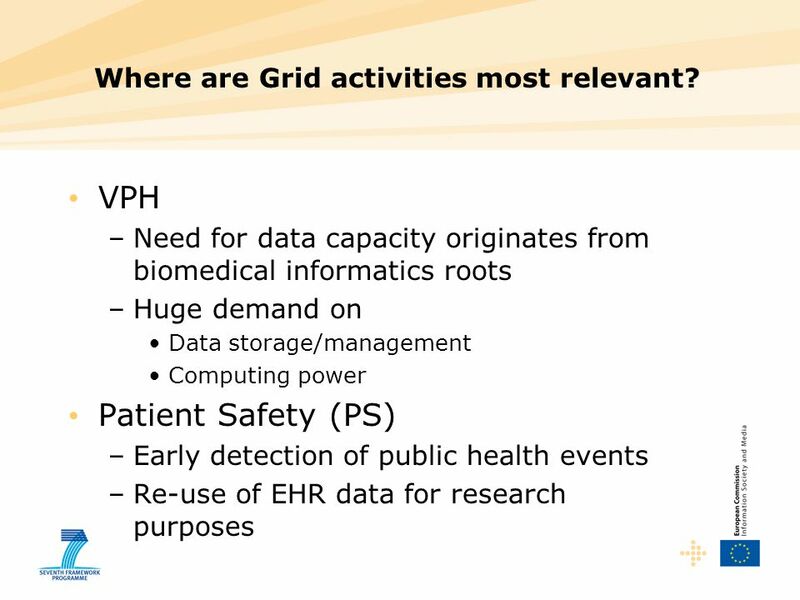 This means that it must be easy to access and use grid resources without needing to be an expert on how grid technologies work. 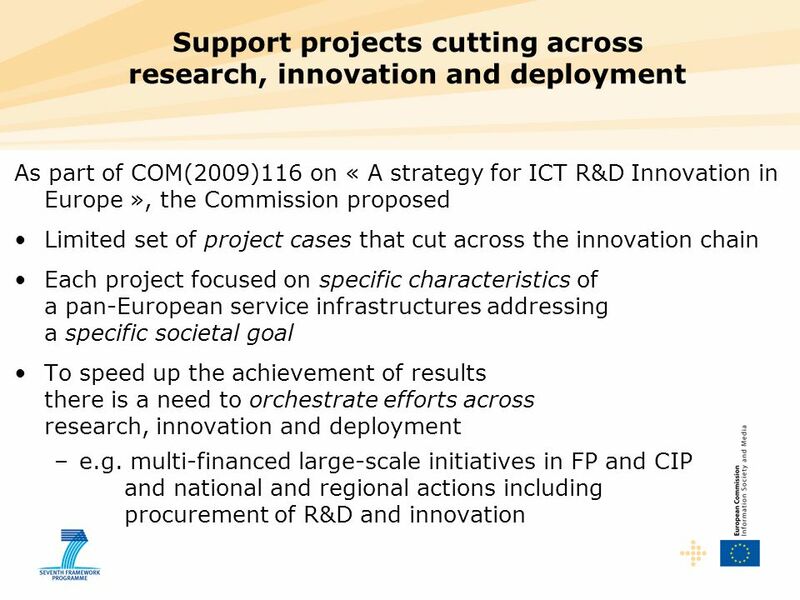 Only by showing that the funds which have already been invested in infrastructure are being of benefit to the research community and sociely as a whole can we justify further funding in this field. 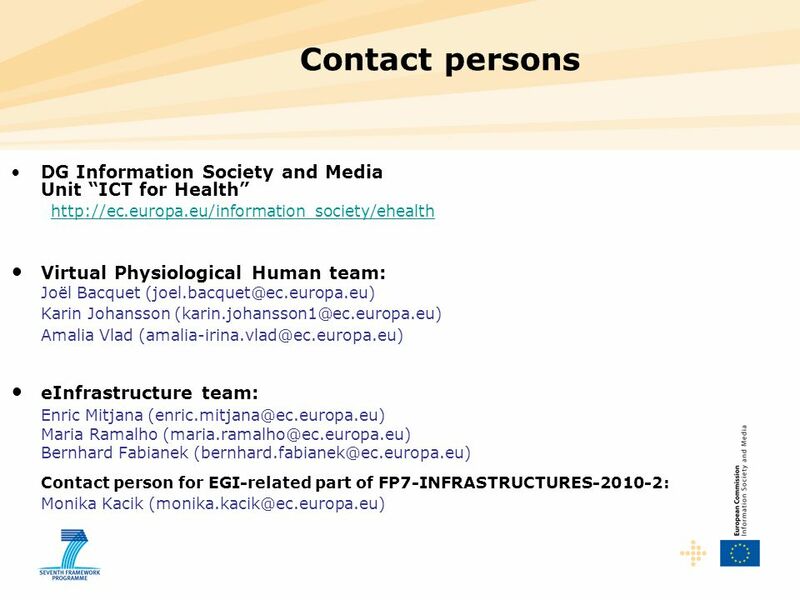 Sharing of information with other researchers is essential – will come back to this point. 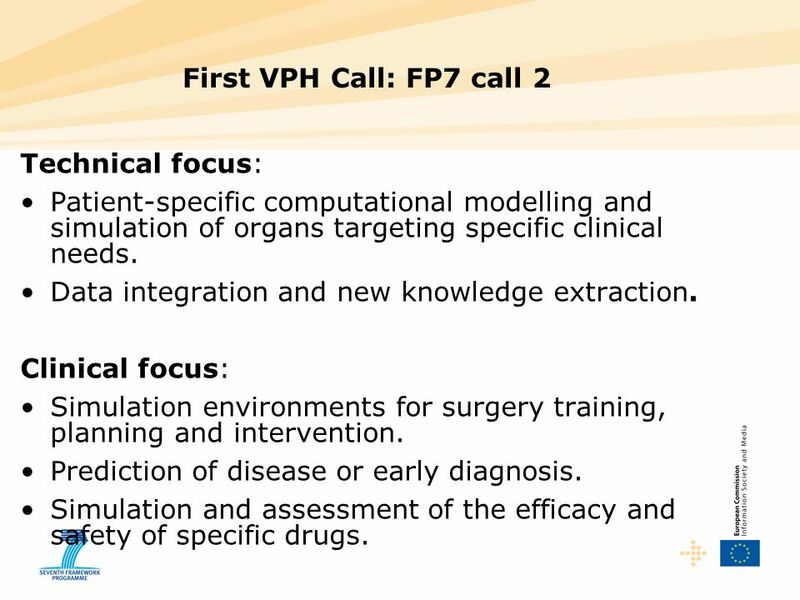 23 VPH Call 6 Focus c) & d) Evaluation and assessment of VPH Projects w.r.t. 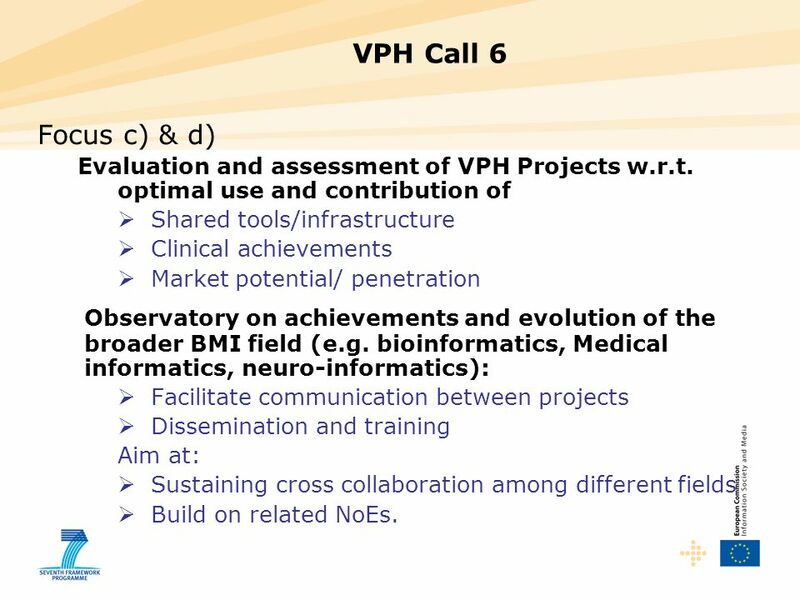 optimal use and contribution of Shared tools/infrastructure Clinical achievements Market potential/ penetration Observatory on achievements and evolution of the broader BMI field (e.g. 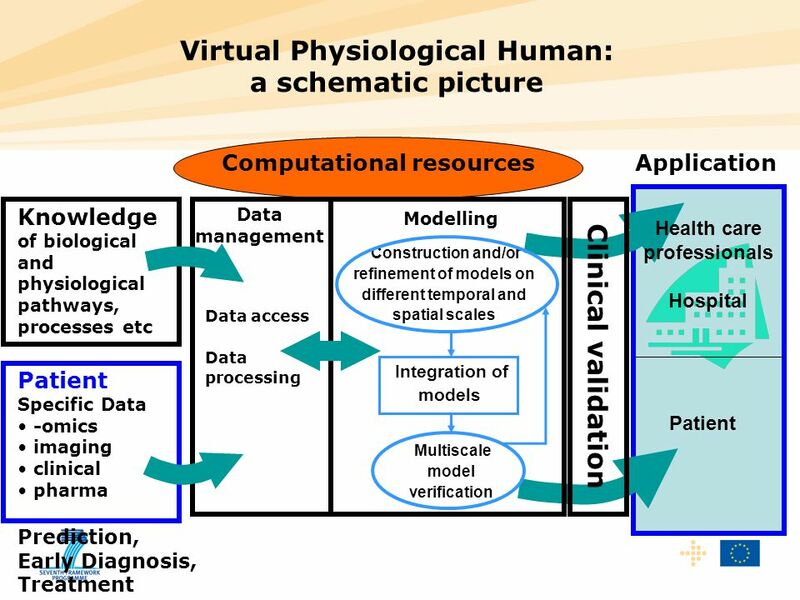 bioinformatics, Medical informatics, neuro-informatics): Facilitate communication between projects Dissemination and training Aim at: Sustaining cross collaboration among different fields Build on related NoEs. Important that all stakeholders interested in contributing to these either apply to participate in one of these consortia or provide their point of view to the selected consortia at the appropriate time. 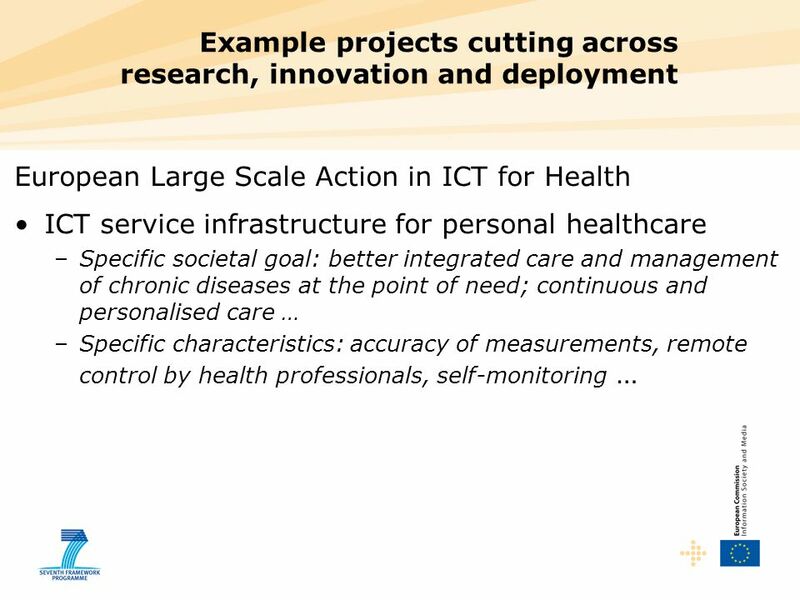 European Large Scale Action in ICT for Health ICT service infrastructure for personal healthcare Specific societal goal: better integrated care and management of chronic diseases at the point of need; continuous and personalised care … Specific characteristics: accuracy of measurements, remote control by health professionals, self-monitoring … eHealth has been identified as 1 of 4 potential topics for such a large-scale action. 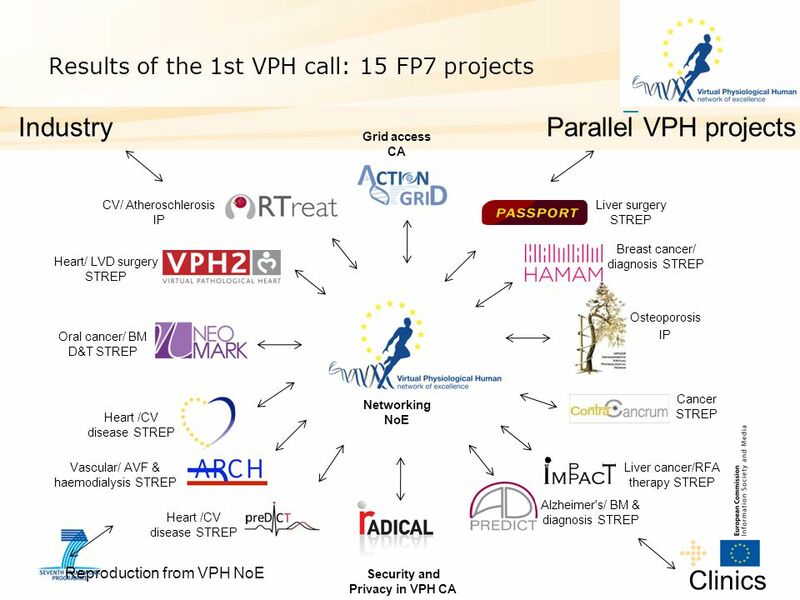 On September 29th there was a consultation meeting held in Brussels to clarify the direction such an eHealth project could take. The report is currently being finalised, and further discussions on the topic will be held on a meeting organised by the Swedish presidency on November 10th-11th in Visby, Sweden. 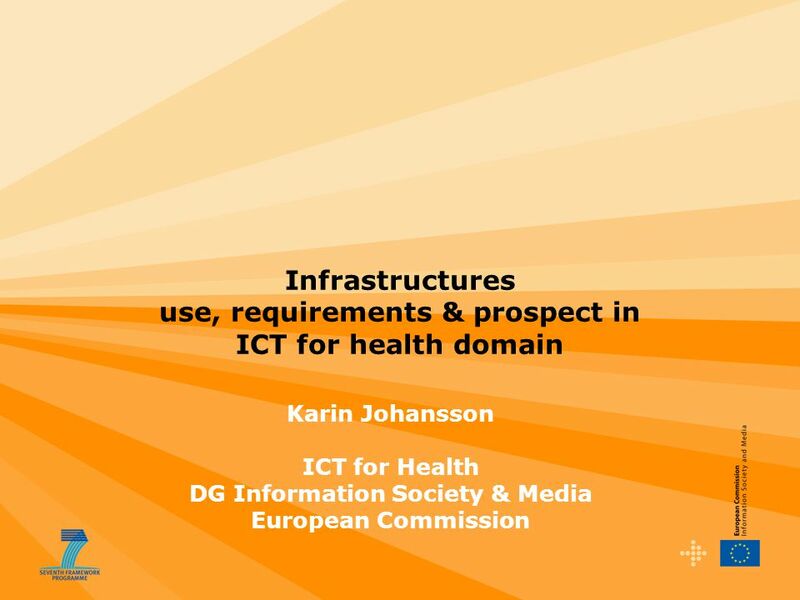 Download ppt "Infrastructures use, requirements & prospect in ICT for health domain"
"The views expressed in this presentation are those of the author and do not necessarily reflect the views of the European Commission" Mário Campolargo. 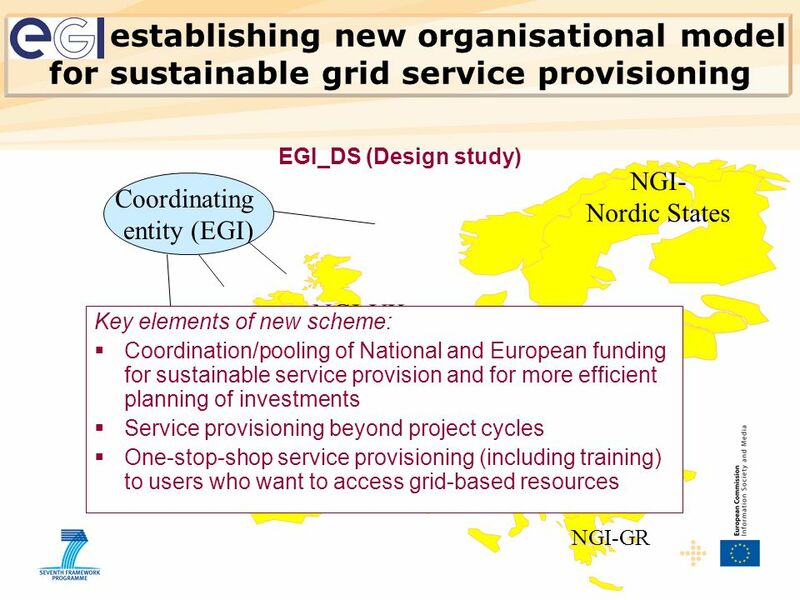 INGRID 2008 – Ischia, Italy 1 Why is 'instrumenting the grid important for e-Infrastructure ? Maria Ramalho Natário European Commission, DG INFSO – F03. 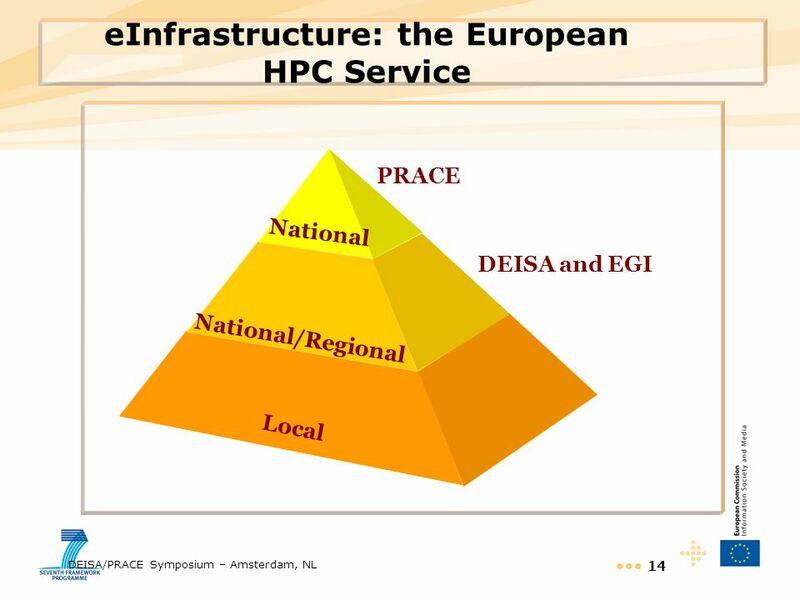 1 Ideas About the Future of HPC in Europe “The views expressed in this presentation are those of the author and do not necessarily reflect the views of. 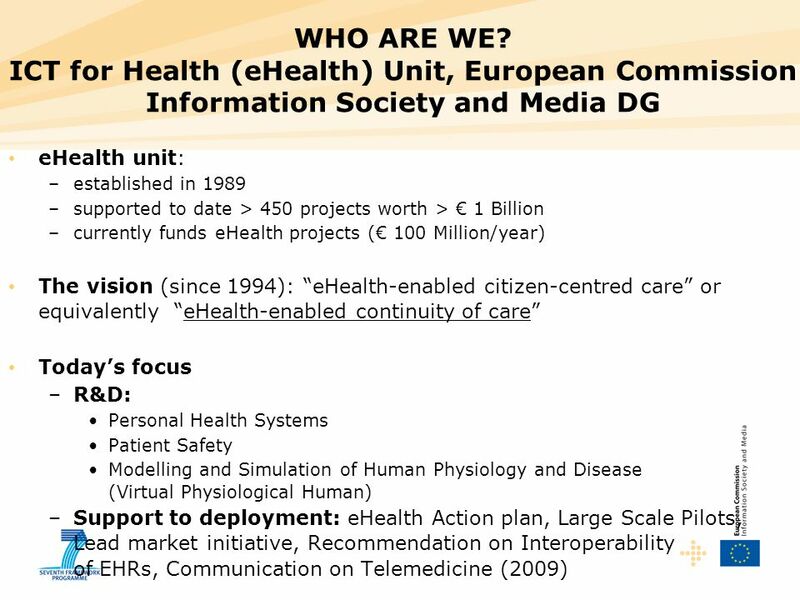 DRAFT Loukianos Gatzoulis ICT for Health DG Information Society & Media European Commission ICT WP Challenge 5 - Objective 5.1: “Personal Health. European Framework Programme for Business FP7 UK Technology Strategy Board Driving Innovation FP7UK Opportunities in FP 7 The Health research theme Biomed. 1. 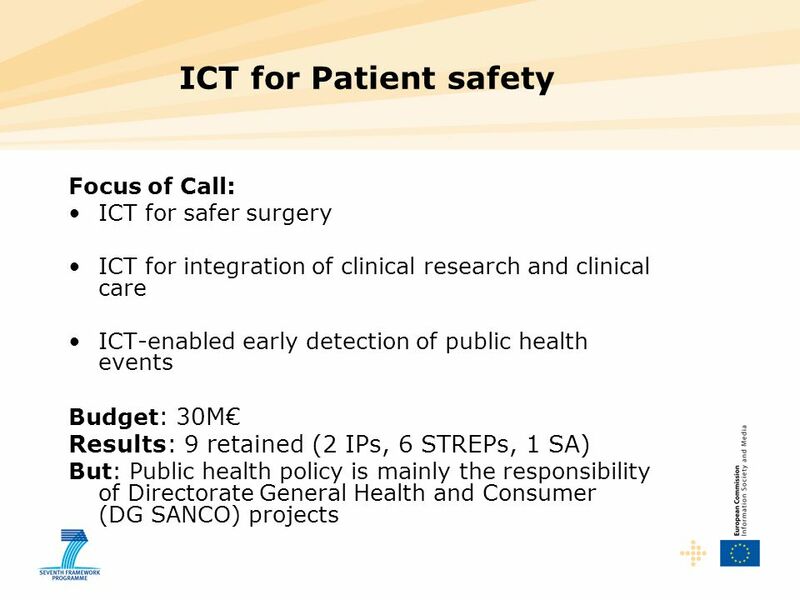 2 Overview 1.eHealth: some facts 2.EC overall eHealth Strategy 3.EC instruments to support eHealth and collaborative care R&D POLICY Support to implementation. 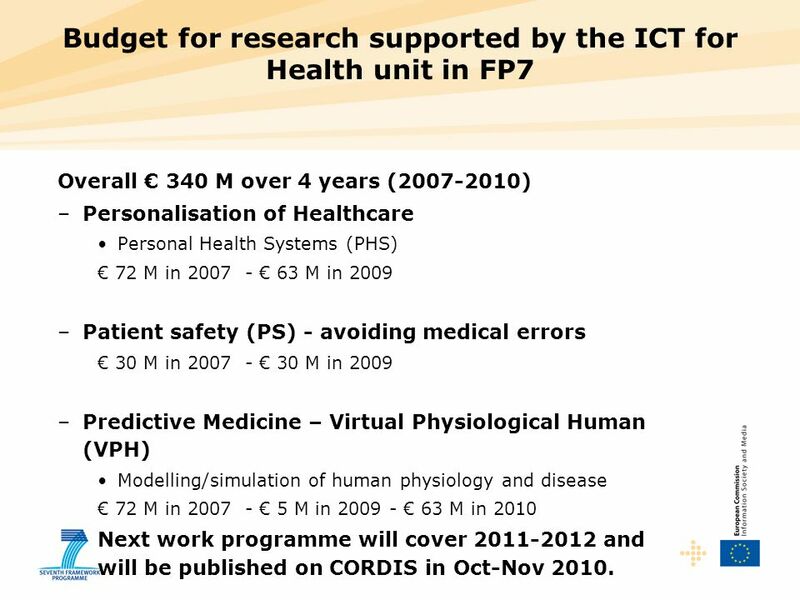 DRAFT Loukianos Gatzoulis ICT for Health DG Information Society & Media European Commission ICT WP 2011-12 Challenge 5 - Objective 5.1: “Personal Health.